As a Disney travel agent, I meet all sorts of clients. Many go to Disney every year on vacation, some even several times a year, others are headed for their first visit. Some travel in large family groups, others travel alone. No two clients are ever the same. What often sticks out is their Disney attitude. When you tell a child they are going to Disney, they are full of excitement and wonder, you can see it plain as day. But for some reason with many adults, it just doesn’t work that way. I don’t know if it is the stress of trying to create the perfect vacation for your family, the money that you have to spend to experience Disney or something else entirely, but for some, a Disney vacation ends up being more about work than vacation. Maybe we need to step back for a minute from our planning calendars and decide exactly what we want to get out of our next Disney vacation. My parents used to take me to Disneyland nearly every year for Summer vacation. I never remember the days where my mom planned every minute perfectly so we were able to ride the maximum number of rides and see all the parades. I do remember the day when it poured all day and we just decided to “go for it”. I remember the day my brother Matt was lost for 10 hours and we looked for him while he was riding the rides. I remember my parents letting me stay at Disneyland with my sister until after midnight when I was about 12. While you are planning your next Disney vacation, remember that your kids are not going to remember everything that you tried to squeeze into the day, but they are going to remember the fun you had together. Think back to the time when Walt was planning Disneyland. 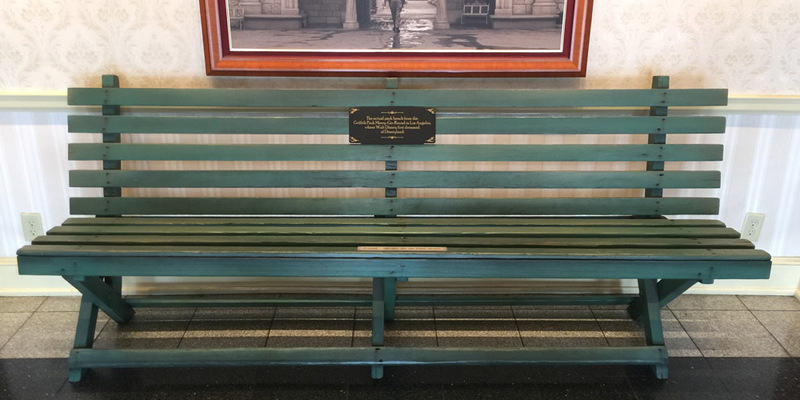 The actual park bench from the Griffith Park Merry-Go-Round in Los Angeles, where Walt Disney first dreamed of Disneyland. A place where the parents and children could have fun together. Think of your last Disney vacation, when you were stressing over your daily Disney agenda, were you having fun? Were your kids? Maybe a bit of that happiness and knowledge can also come from a bit of spontaneity. While Disney does require some planning considering fast passes, dining reservations, show times, etc., much of the day can be left open to “chance”. I have discovered we have the best Disney trips when I leave much of the planning up to my kids. I let them choose our fast passes, which parades and shows they want to see, where they want to make dining reservations, and then when we are in the parks, I let them decide where we are going, which rides to ride, where you eat lunch, etc. It makes for a much less stressful vacation on my part, and my kids have a blast. 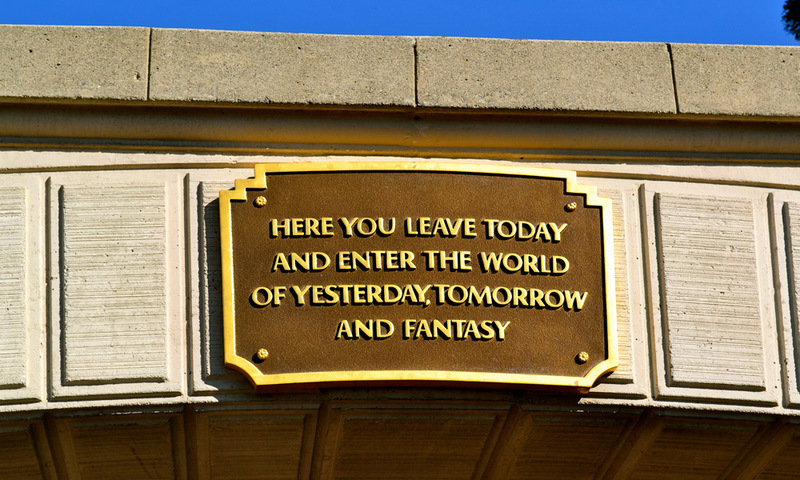 The Disney theme parks are supposed to let us escape the “real” world and enjoy a world of fantasy. Let’s all take a step back from our obsessive Disney planning, our insistence that our families follow our Disney agenda regardless of what they want to do or what is going on around them, and enjoy our time in these fantastic places with our family and friends. Yesterday, Walt Disney World announced a new nighttime event in the Magic Kingdom called Disney After Hours. In a nutshell, guests pay $149 plus tax for a ticket to get three hours in the Magic Kingdom “after hours”, basically after the parks close. Tickets will be extremely limited, so it should feel like the park is pretty much empty. The Disney internet went all sorts of crazy when this was announced, you would have thought that they were closing the place permanently rather than offering a new event there. I have owned and operated a Disney only travel agency since 2002, plus I have traveled with my family on vacation to Walt Disney World over 20 times in the last 20 years. I have also visited the parks without my family on many, many occasions. Not only do I help hundreds of families each year visit Walt Disney World, I visit there myself quite often. I feel like I am in a unique situation to comment on the news. This is a test and only a test. – At this point, Disney After Hours is not a “real” thing yet. Dates have only been announced during April and May, over a 5 week period. It is pretty clear this is a test period for Walt Disney World to see if people are going to be willing to pay $149 per person for this event. We may never see this event extended to additional dates. Disney offers others high cost, limited access events every day in the Walt Disney World theme parks. Think about it. You have the Wild Africa Trek in the Animal Kingdom, which runs about $200 give or take a little bit depending on the time of year, for a three hour event that gives you access to parts of the park others do not get to see. In your mind, just classify Disney After Hours in the same category as these other high cost, limited access tours, because that is all that it is, nothing more. Disney will continue to offer more and more high cost, limited access events. For years, there was a rumor going around that Walt Disney World was going to build an entire theme park that would be available at a considerably higher fee than the existing parks, with the intent of offering guests who were willing to pay for access a unique experience. I am sure the math never added up on this, so it was never built. However, the one thing Disney did learn from that project is that people are willing to pay for unique experiences. While some people are as happy as clams visiting the same parks year after year (that would be me too), there are others who may have already done Disney World once with their family, but want to return and have a different experience. So, events such as the Wild Africa Trek, backstage tours and fireworks cruises will only be added to as Disney creates new events. Remember the suite Disney built inside of Cinderella’s Castle (appropriately named the Cinderella Castle Suite)? How much would you pay to sleep there one night? What if there was a suite inside your favorite attraction? While you may not want to pay several thousand dollars a night to sleep there, I bet there are plenty of people who would line up to be able to have that experience just once at any price. Disney is not now charging for Extra Magic Hours. This was the biggest gripe I heard yesterday, that Disney had the audacity to charge $150 for something that used to be free. Please note: Disney is not charging for Extra Magic Hours, and certainly not $150. This event is not Extra Magic Hours. Extra Magic Hours is open to all Disney resorts guests. On property, Disney has about 28,000 hotel rooms, plus you have to figure in the Swan, Dolphin, Shades of Green and the Hilton in Downtown Disney. That is in excess of 31,000 hotel rooms. If you figure that the rooms are full, and there are on average 3 guests per room, that is 93,000 people that have access to Extra Magic Hours each day. That is a crazy amount. Even if only half of the people show up, that would pack any Disney park with the limited number of rides they make available during Extra Magic Hours. Disney After Hours will be extremely limited. Rumor has it that tickets will be limited to less than 3,000 per night. So, you are not paying $150 to share the Magic Kingdom with your 93,000 closest friends, you are paying to have access to a basically empty park. Extra Magic Hours are not going anywhere. If you look at the Walt Disney World calendar, you will notice that Extra Magic Hours did not change at all during the test period, and are still on the schedule all the way through September, which is as far out as the calendar goes. I don’t expect to see Extra Magic Hours go anywhere. Disney has spent a lot of time and money advertising the benefits of staying on Disney property, and Extra Magic Hours is probably the biggest “perk” Disney guests receive. When Disney World announced the Wild Africa Trek, they didn’t close down the Kilimanjaro Safari attraction. Disney After Hours will be held on nights when the Magic Kingdom is not scheduled for Extra Magic Hours. This will not effect your upcoming, or any future, Walt Disney World vacation. If Disney After Hours is something you really want to do, you can choose to pay the money and attend, or you can just visit the parks during the day and evening like you have in years past, nothing is changing. My guess is that if you didn’t even know about Disney After Hours, you will not notice any change at all. Park Hours are not being effected, Extra Magic Hours are not changing, so why worry about it? Some people can afford Disney After Hours, but whether you choose to attend or not will not effect your vacation. The Walt Disney Company is so greedy! This is the one thing that I hear constantly, Disney is greedy. Please note: the Walt Disney Company is a public company, they exist for one reason only, to make money. I am not a shareholder of Disney, but I am very happy that they make money on the theme parks each year, as it means Disney will continue to put more and more money into the theme parks and build new additions such as the upcoming Avatar, Star Wars and Toy Story Lands. If Disney were to just eek by and keep prices as low as they could, the quality would suffer and the parks would eventually shut down. I have spoken to many higher ups in the Walt Disney Company, their main focus is to provide a quality experience unlike any other to every single guest that walks into a Disney theme park. In order to do that, one thing they have to do is to balance supply and demand. Keep the prices lower, more people will come, which just leads to more lines, more wear and tear on the parks and much less of a quality experience. Personally, I would rather spend one less day in a Disney park on my vacation, and ensure that my family has the best time possible while I am there. Walt himself would be appalled by what the Walt Disney Company is charging now. Hogwash! Walt was a business man. When he released Snow White and the Seven Dwarfs in the theaters, did he lower admission prices so everyone could see the movie? Nope. When Disneyland was opened, admission was different, as there was a small admission fee charged, and you had to have a ticket to ride most rides, but the approximate cost for one day at Disneyland was roughly $7.50. That was a crazy price for 1955, and you were limited to the number of attractions you could ride, it was not unlimited. Walt charged a boatload of money for entrance to Disneyland, and he found that people were willing to pay. Well, there you go. 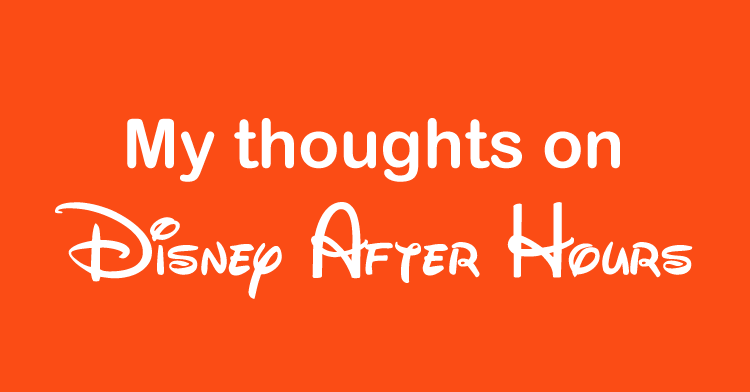 Personally, I am super excited to see new events such as Disney After Hours being added to Walt Disney World. While I may personally never attend Disney After Hours, I know that there are plenty of people who will, and it will make their Disney experience just that much better. Walt Disney’s Enchanted Tiki Room opened in Disneyland on June 23, 1963, and is still to this day, one of my all time favorite Disney attractions. When my family loses track of me in Disneyland, they know exactly where to look, on the back row of the Tiki Room. I will be sitting there happy as a clam with a dole whip or Dole float in my hand, singing like the birdies sing. The Enchanted Tiki Room as one of the last attractions that Walt worked on full time, and it shows. The attraction is over 50 years old now, and is still a fan favorite. 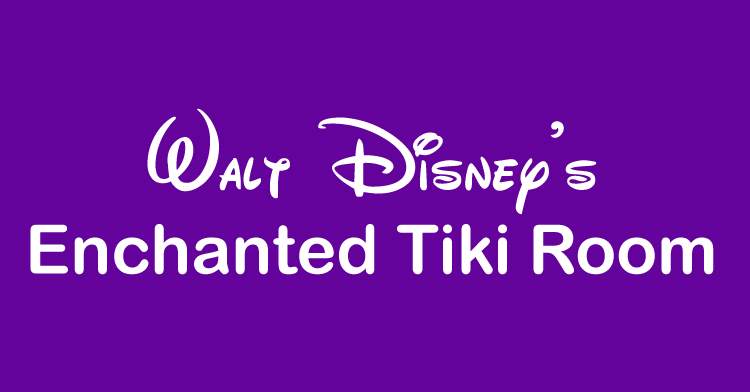 The Tiki Room is one of only two attractions with Walt’s name on it, the other being Walt Disney’s Carousel of Progress. Of course, there is the Walt Disney Railroad, but it isn’t Walt Disney’s Railroad now is it? 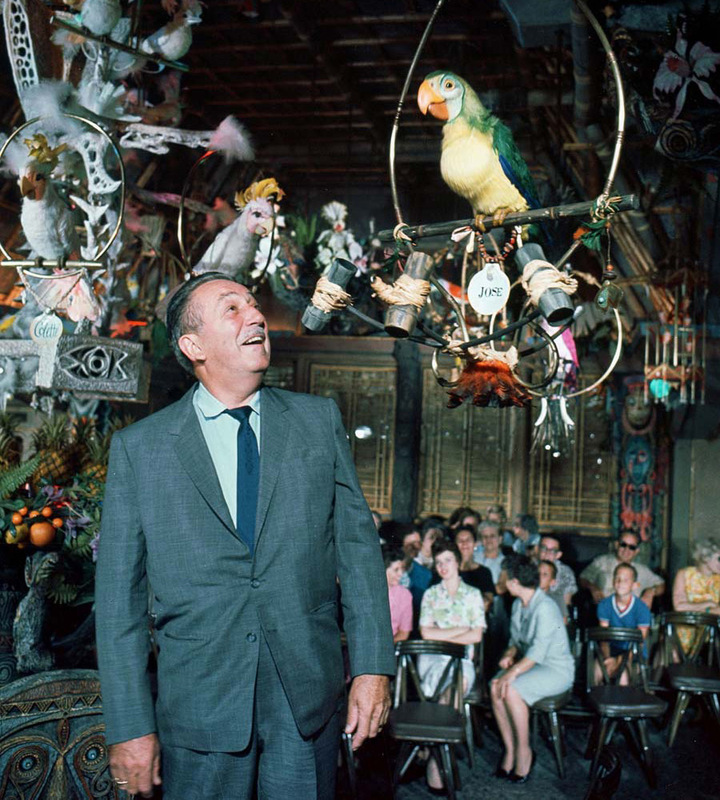 When first conceived the Enchanted Tiki Room was to be a restaurant, complete with the animatronic birds singing above you as you dined. Unfortunately, that never worked out. For nearly 30 years, as you exited the Enchanted Tiki Room, you arrived right at the entrance to the Tahitian Terrace Restaurant, home of the original Disneyland Monte Cristo sandwich. After all, nothing says “Polynesia” like a deep fried ham, turkey and cheese sandwich. BTW, did you know there is now a Tahitian Terrace in the Hong Kong Disneyland? The Dole Food Company has been the sponsor of the attraction since 1976, 40 years! The line for a Dole Whip at Disneyland is always shorter on the Tiki Room queue side rather than on the Adventureland side. Hop in line, grab a Dole Whip and enjoy the pre-show. Dole Whips and Floats are allowed inside the attraction too! Did you know there used to be a fifth Macaw? Jose’s brother Juan used to sit outside the attraction and talk to people, a barker if you will. Juan was so popular he had to be removed pretty quickly as he always caused quite a commotion. He was super cute, even had a little straw cap and bamboo cane. The original show was nearly 5 minutes longer than the current version, running nearly 17 1/2 minutes. It was shortened sometime in the 90’s and again in 2005 to it’s current form. In preparation for the 50th anniversary in 2013, Disneyland closed the Enchanted Tiki Room for nearly 7 months in 2005 to do a complete makeover. Everything in the ride was replaced, from features to the thatch roof. If you were lucky enough to go right around the re-opening, it was fabulous, must have looked even better than when Walt opened it. The show features 54 singing orchids, 4 totem poles, 12 tiki drummers, 24 singing masks 7 birds of paradise, 8 macaws, 12 toucans, 9 forktails, 6 cockatoos and 20 assorted tropical birds. That is quite a cast! 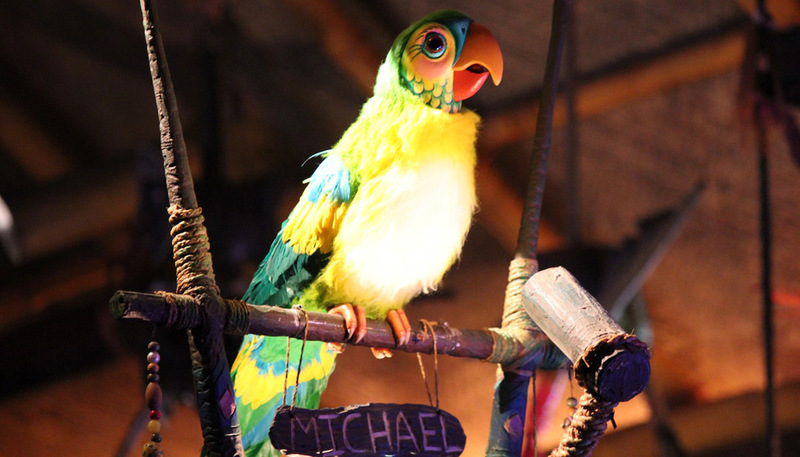 The Enchanted Tiki Room is performed roughly 60 times per day, 7 days a week, 365 days a year. That equals about 22,000 shows a year! A Walt Disney World version opened in the Magic Kingdom in 1971 when the park opened. It has gone through some changes, including a very dark time when it was taken over by Iago and Zazu, but it is now back to a near replica of the original Disneyland version. There is also a version in Tokyo Disneyland, but it has morphed into something called “The Enchanted Tiki Room: Stitch Presents Aloha e Komo Mai!” which features Lilo and Stitch. Near blasphemy. Hopefully it will be returned to the original show soon. Next time you are in the neighborhood, grab yourself a Dole Whip and head to the back row of Walt Disney’s Enchanted Tiki Room, you may see me there.